Devi (Chennai, India) on 28 February 2016 in Plant & Nature and Portfolio. Quelle plante et vue quel vert et blanc superbe captage et image merveilleux. @grouser: Yes..and soon these will turn into dark blackish violet fruits !! A beautiful image with a little learning thrown in. I had no idea a curry plant looked like this. 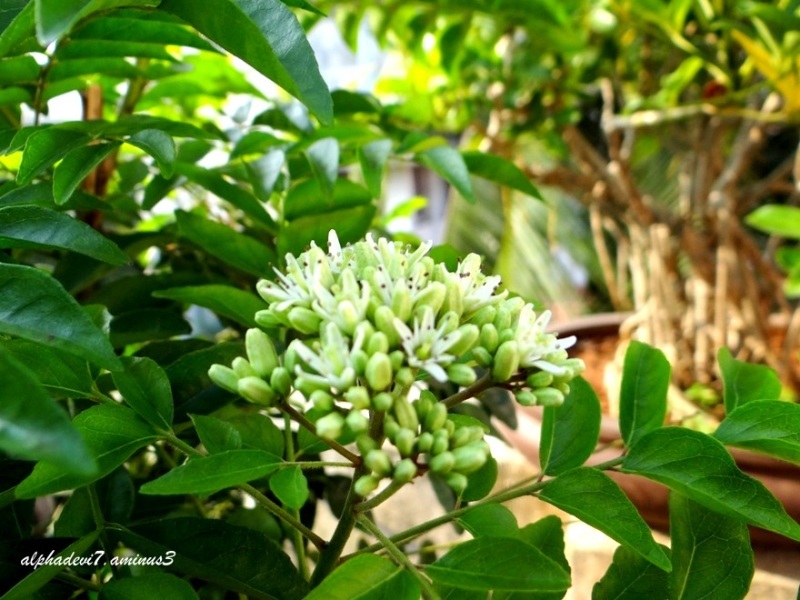 It's fun to see a plant blossoming which you've never seen before. Thanks for sharing this one. A beautiful plant and flavorful, too. Oooh, I would love to taste a fresh curry leaf. It has beautiful flowers. Such pretty little blossoms! A lovely image!